SVA Gramercy Gallery. The exhibition is open to public from Nov 18, 10:00am to Dec 2, 2:00pm, with a gala reception on November 30 from 6:00pm to 8:00pm. 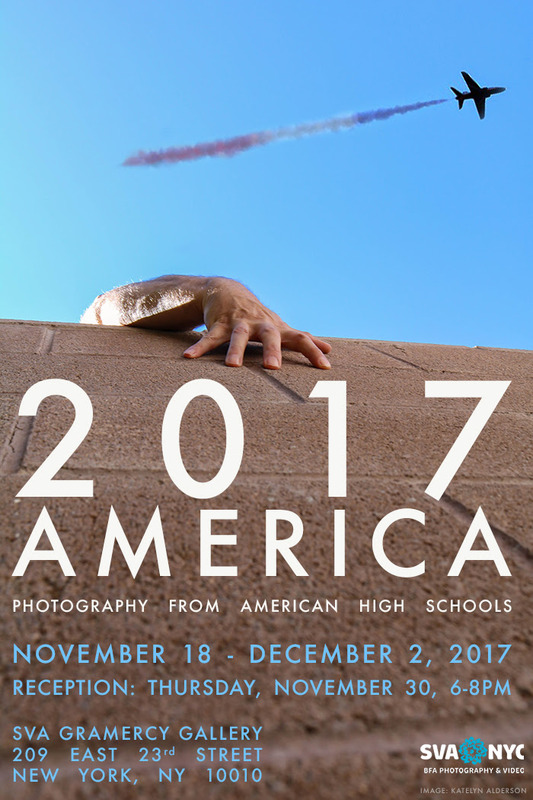 High school students throughout the United States answered the call for submissions from the BFA Photography and Video Department at the School of Visual Arts for the opportunity to exhibit their photographic work alongside their peers in 2017 AMERICA. Aiming to give voice to the newest members of the visual arts community, 2017 AMERICA showcases a wide range of perspectives and talent, featuring the work of students from 30 states and drawn from over 2,000 submitted works. 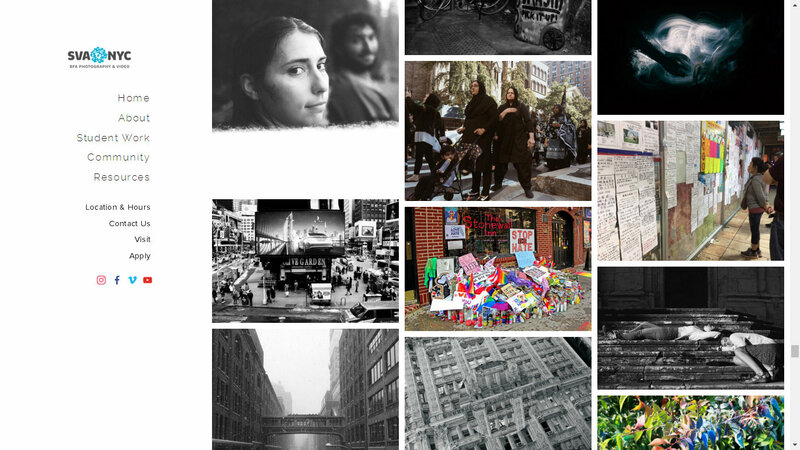 One year after one of the most polarizing elections in recent history, SVA’s BFA Photography and Video Department was eager to support and understand the perspectives of the youth whose futures will be deeply affected by the decisions made during this tumultuous time. 2017 AMERICA provides a space for up-and-coming creative talents to express themselves. Viewers will gain insight into what young American artists are seeing, thinking and making, and how they define this vast country in the present. The resulting exhibition ranges from works that are overtly political and issue-oriented to those that express a more personal view of identity and life in the United States at this moment. 2017 AMERICA was curated by a team culled from the BFA Photography and Video staff: Bina Altera, Amber Dietz, Maria Dubon, Alex Hovet, Max Lee, Steven Mayer, and Department Chair Stephen Frailey. 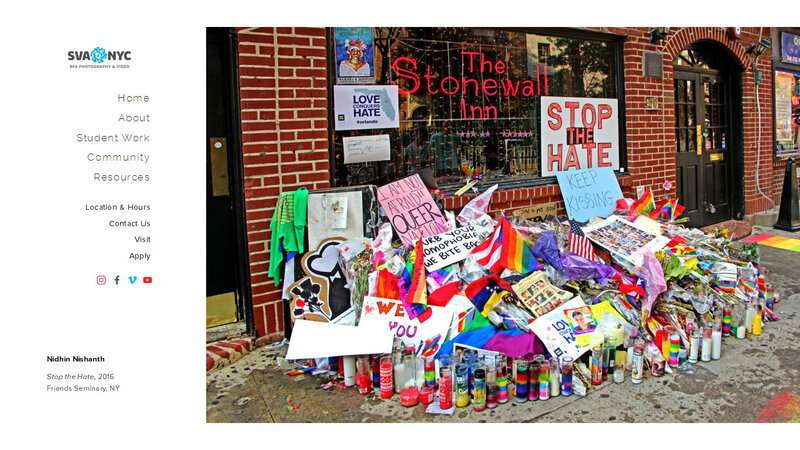 This exhibition has received press coverage from VICE and THE WEEK.